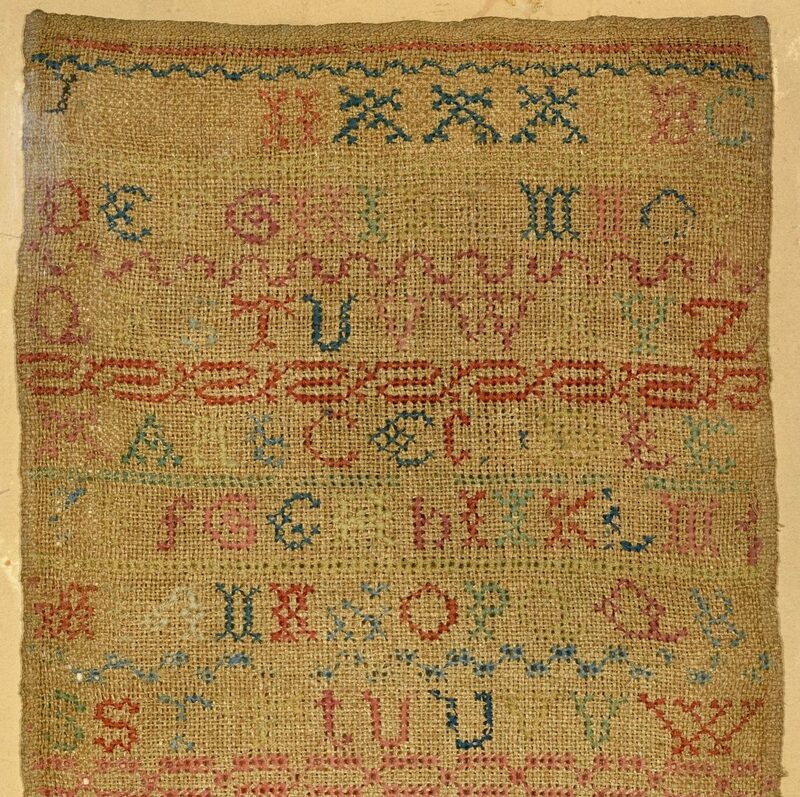 18th century English needlework alphabet sampler, silk on linen, signed Ann Scruton and dated, possibly 1789 or 1794. Three sections of alphabet over the signature and date, with a band of flowers and distinctive geometric band on the bottom. Float mounted in a simple wooden frame. 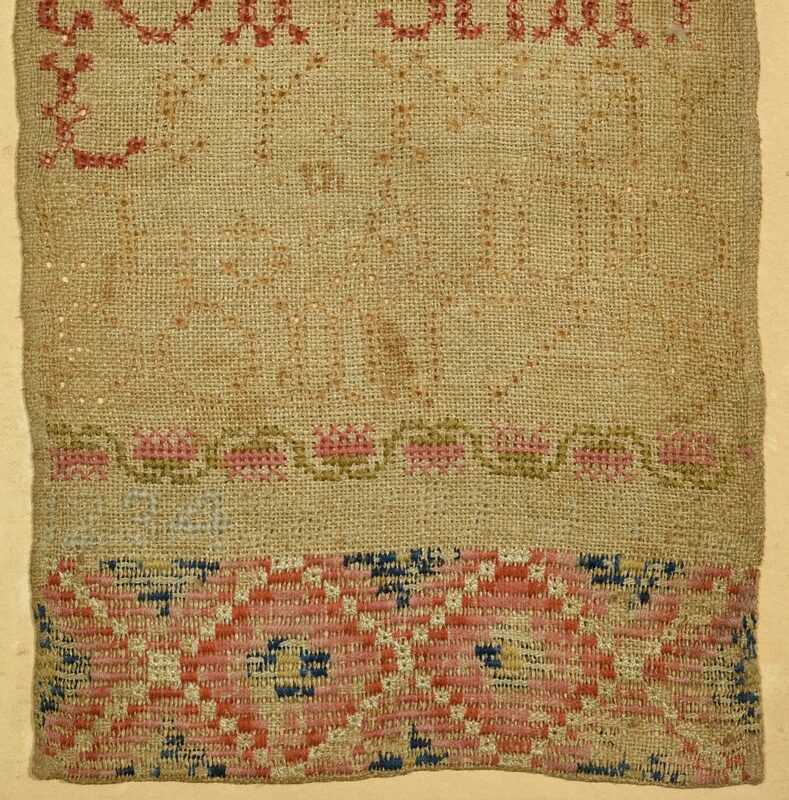 Sampler – 24 3/8" H x 7 7/8" W. Framed – 27 1/8" H x 11" W. CONDITION: Some losses/fading to stitches. 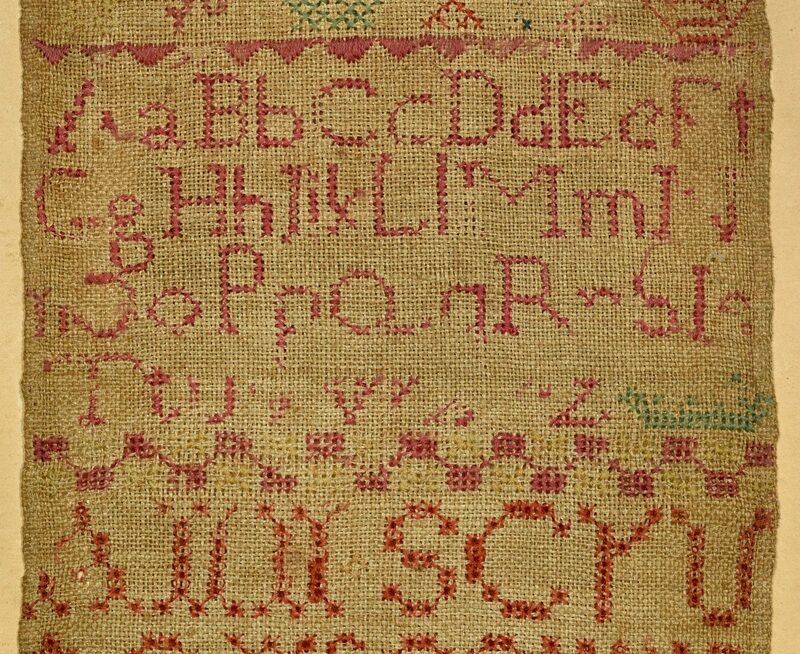 Some darkening to linen.